A true bluewater sailing catamaran. Professionally built, one owner. 2018 refit included professional repaint, new standing and running rigging, new hatches, new saloon glass & dodger polycarbonate, engine overhaul. Twin Perkins 60hp main engines with shaft drives and feathering propellors. 8x 80watt Solar, 6 x 300ah Gel batteries (1800ah total) new 2017. X2 ICER eutecic fridges with separate freezers. 240v invertor, Raymarine electronics, all new Uhlman sails 2016.4 queen cabins, 2 bathrooms, cavernous interior with professional fit out. 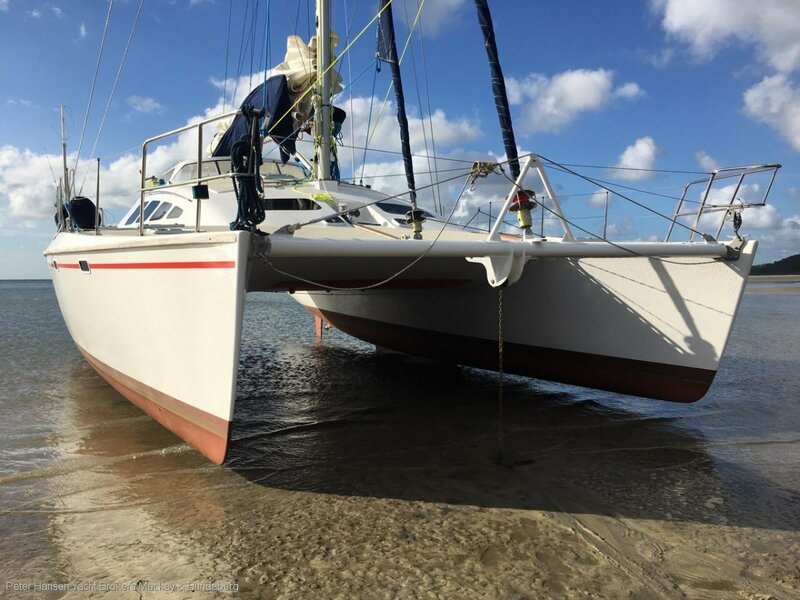 If you are in the market for a serious bluewater performance catamaran, an inspection is a must.